Let us know about any other local gyms and personal trainers in Carindale, Carina and surrounding suburbs. Email info@carindaleconnect.com.au or add your comments below. Shop 2/3 Centro, Samuel Village Shopping Centre, Cnr Samuel St and Boundary Rd. Camp Hill. At Snap Fitness, Cnr of Newnham & Wecker Roads, 35 Wecker Rd. 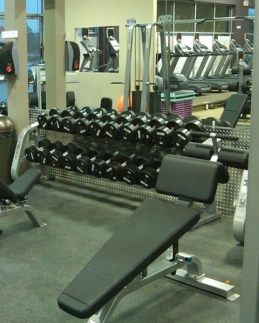 Tell us about more gyms and personal trainers in Carindale, Carina and surrounds. CARINDALE FITNESS FIRST – 803 Creek Rd. Come and try our facilities for FREE from 7th Jan to 13th Jan. Each day you can enter our prize draw to win 2 months free membership! •	Saturday – Team Workouts: 8am, 9am & 10am. •	Sunday – Take your pick. Cardio? Strength? Group Fitness? Swimming? Under Harvey-Norman on Carindale Street. A safe and fun environment for women to train!